Every once in a while, we come across a book or a movie that alters our perception of a genre. I must admit that I was originally quite sniffy about the merits of so-called ‘chick lit’. 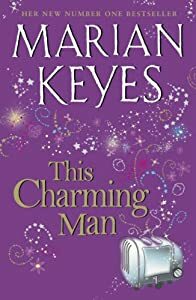 However, after catching the incredibly charming and funny Marian Keyes on TV, I decided to give her books a go. To be fair, the first one that I read was a freebie (a collection of short stories and essays entitled Further Under the Duvet). However, that was enough to convince me to spend my hard-earned cash on more of her work. This Charming Man is my favourite to date. Laugh out loud funny yet quite shocking too, tackling as it does the issue of domestic violence. Other authors of note on my bookshelf include Cecelia Ahern – I’ve just read her 2006 novel A Place Called Here, which is a magical modern take on The Wizard of Oz – and Sophie Kinsella/Madeleine Wickham. In terms of themes and scope, even the phenomenally successful One Day could arguably be classed as chick lit, despite being written by a man. Chick lit often gets a bad rap and is dismissed as lightweight reading for the beach or daily commute. But it doesn’t have to be just about buying shoes or office romance. For writers at the top of their game, chick lit can be witty, heart-wrenching and intelligent stuff. Hide it behind your copy of the Metro if you must, but be warned. A great chick lit novel holds the power to make you laugh or weep in public.